Catholic Christian Homeschooling: SB 136 4000 homeschoolers at Feb 15, 2011 hearing! 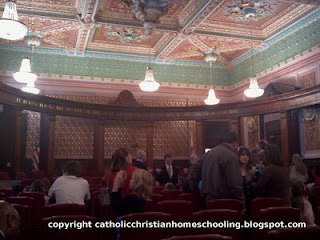 SB 136 4000 homeschoolers at Feb 15, 2011 hearing! 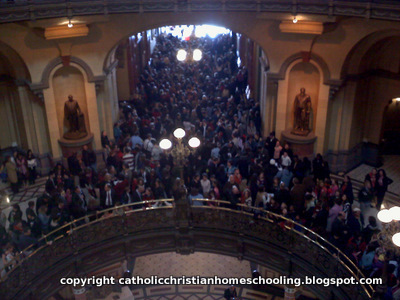 The kids and I were one among the thousands of homeschoolers that were at yesterday's committee hearing regarding SB 136. I don't think Sen. Maloney had any idea that his bill would draw such a large crowd in opposition. Security estimates that there was 4,000 people there. We were one of the few that were allowed into the Howlett Building to attend the homeschooling summit in Howlett Auditorium. Prior to entering into the auditorium there wasn't a crowd. So we had no idea what was brewing outside.The lady behind us, who took our picture, was separated from her husband. He had dropped her and some of the children off and went to find a place to park. By the time he parked and came back to the Howlett Building they would not let him in because it was full. At the summit we listen to HSLDA lawyer Scott Woodruff. He basically gave us a summary of some of the things he was hoping to address to the committee at the hearing. Some of what Scott Woodruff had to say can been seen in this youtube video. Prior to Mr. Woodruff testimony you are able to hear some of the testimony of a truant officer that spoke in favor of the bill. Listen to him carefully it's scary! Everyone that was at the summit was not able to get into the hearing room. As a matter of fact, to avoid having to go through security again, they took us through the tunnel system from Howlett building to the capitol building. I had no idea what I would face once we got into the capitol building. The second floor where the hearing room was so full that we had to go up to the 3rd floor. It was on the 3rd floor that I was able to take this picture. Local homeschoolers that were able to get into the hearing room said they got there at 8:30 and went straight to the hearing room. Not only that but once they got into the room they had to stay because if they left, even to go the bathroom, their seat was given to someone else. Even though I wasn't able to get to the room itself I was able to sign an attendance slip and let them know I was there and oppose SB 136. During the hearing the group, in the hall, did break out into song and sung the national anthem and a few other songs, but shortly after that security came by and told everyone they had to be quiet or they would be kicked out. There was some confusion on why we were being told to be quiet, but it turns out that because of the crowd of people they decided to leave the hearing doors open to allow those outside the room to hear. Of course that meant only those right at the door could hear. Seeing we were so far away from the door we gathered our information during the hearing from facebook. There was no real way to know what was going on otherwise. 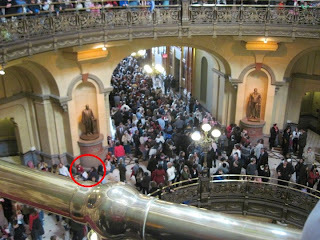 At one point we did made our way down to the second floor and believe that we are seen in photo taken by STOP SB 136. After the hearing we were able to go into room 212 and that is when I took this picture. Some news media outlets are reporting that SB 136 has been dismissed, but that simply is not the case. There was NO vote yesterday and Sen. Maloney has NOT withdrawal the bill. He just doesn't want it to go further right now because he wants to amend it. HSLDA is asking anyone in Illinois that does not want this bill passed to contact their senator and ask them to tell Sen. Maloney to withdrawal -not amend- SB 136. Some of the things I find disturbing, by sides the bill itself, is what other homeschoolers are saying certain people said to the crowd there. For example Sen. Lightford said "I don't understand why anyone would want to spend all day with their kids"; The truant officer as he was leaving the hearing made a comment how all the kids there at the hearing were truant. I don't know what is more upsetting the senators remarks or the truant officers. Really in my opinion they are pretty equal. In regard to the truant officer remarks don't kids that "go" to school take field trips to the capitol building? Yes we were there to lobby our cause. But I also took the time to show my kids around the capitol building, I explained to them how bills are passed. We went into the gallery of the Senate and House. The House was in session so we got to see law makers at work. After that we had lunch and then went to the State Museum. We even stayed last night and this morning toured Lincoln's Home and Tomb before driving home. There was more to our trip then just being at the hearing. I don't know how that would be consider truant. My kids got to see first hand how government works and visit national historic sites. I think my sister, whose in the army and currently station in Iraq, said it best when she posted on my facebook wall yesterday "wish I could be there.. I would want to show up in uniform and asked them why do i wear this uniform to fight for freedom if your just trying to take it away from parents!!" This bill sounds like it would be a waste of taxes. Hopefully it doesn't get passed. 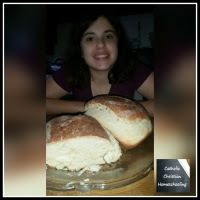 When I read about states that have all these regulations in place for homeschooling, it makes me happy that I live in a state where there aren't any hoops to jump through should I choose to educate my children at home. well the fight to keep the bill from passing is not over. Sen. Maloney is insisting that only ONE of his constituents have contacted him opposing SB 136. I may not live in his district but I know that is simply not true. If you live in Sen. Maloney district and if you OPPOSE SB 136 then you need to call, write, and email his office and let him know you live in the district and you oppose this bill! Your kids will remember that for the rest of their lives. 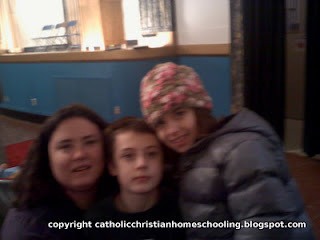 They are so blessed to have you and Jeff to teach them about TRUE education and freedom. You're right! Those comments on the side were VERY disturbing!!! It is amazing the way some who are uninformed think and speak. I am hoping that all works out to the well-being and protected rights of homeschooling families in Illinois. 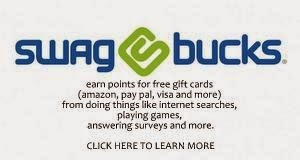 God bless you for trying to do your part! Well thankfully SB 136 was tabled...so it's a dead bill! It was tabled last Thursday (Feb 17th). Although Sen. Maloney has made it clear via local media outlets that he's not giving up on the "issue" and will be introducing a new bill some point in the near future. So I'm still keeping an eye on things so to speak and will go to Springfield again if I have too.